21 Feb Why Should a Woman be More Like a Man? “Why can’t a woman be more like a man?” This is the famous lament of Professor Henry Higgins in the movie, My Fair Lady. Thoroughly discouraged by his inability to understand women, Professor Higgins sings this tongue-in-cheek melody about how the world might be a better place if women became more like men. Yesterday’s humor but today’s reality. Increasingly powerful segments of society today seem bent on eliminating discussions about or references to gender differences in the name of equal or fair treatment. They proclaim that gender is a matter of internal preference, not external reality. Indeed, some scientists have asserted that change is a fundamental feature of gender. Because of assertions like these, a person’s “internal sense of gender” is often becoming a key factor in gender determination.  Women have a larger stomach, kidneys, liver, and appendix, and smaller lungs than men.  Male musculature is more highly developed than female muscle systems. 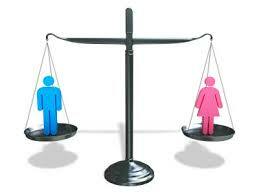 The average man is about 50% stronger than the average woman. The skeletons of women are generally lighter and smoother than those of men.  Women laugh and cry more readily than men. Women worry more than men as they produce only about half as much serotonin (linked to depression) as men and have fewer transporters to recycle it.  Because woman’s blood contains 20% fewer red blood cells than men’s blood, woman tire more easily and are more prone to fainting. However, for perhaps the same reason women generally outlive men by five to ten years.  There are many differences between male and female brains. Men’s brains are larger and have more connections within hemispheres (suggesting greater symmetry between perception and action), while female brains have more gray (computational) matter and more connections between right and left hemispheres (suggesting that their brains are wired more for socialization and memory). These are only a few of the numerous findings on variations between men and women. Women and men are different. Science proves this. Ruben Gur, an author of one of the most recent and highly acclaimed studies of male and female brains pointed out, “It’s quite striking how complementary the brains of men and women really are.” The idea of complementary as opposed to identical seems to best sum up how gender equality can be best achieved.